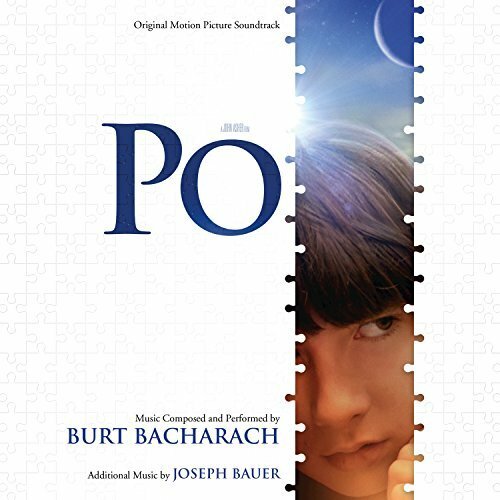 Legendary composer Burt Bacharach hasn't really been very active since the 1990s, so his new score for Po has generated quite a bit of excitement among the composer's fans. Bacharach, who is best known for films like Butch Cassidy and the Sundance Kid and Arthur (as well as their respective theme songs, "Raindrops Keep Falling on My Head" and "Arthur's Theme [Best that You Can Do]") has written his fair share of classic tunes in his long, if not exactly prolific, career as a film composer. The film, which follows a gifted young autistic boy who is unable to cope with the loss of his mother, barely registered with audiences or critics. Since songwriting is arguably what he is best known for, much of the hype surrounding Po has been for the film's theme song, "Dancing with Your Shadow," which incidentally is the weakest aspect of the album. The song, as performed by Sheryl Crow, opens the album, before segueing into Bacharach's instrumental score. The melody is lovely, and serves as the film's main theme throughout the score, but it's lyrically simplistic and ultimately not very memorable. The saccharine lyrics have a Hallmark card quality that undermine the beauty of the composition. Bacharach performs much of the score himself, driving it forward through solo piano and the occasional use of ambient electronic sound, mostly thanks to co-composer, Joseph Bauer, who provides weaker tracks like "The Land of Color," "Detached," and "Lost" (which veers into a more dissonant atmosphere of suspense). The theme for Po's mother, Amelia, is first introduced on piano in "Amelia Says Goodbye," and is reprised on guitar in "Amelia," "Fishtank," and "Magic Garden" without too much variation. It's a lovely theme, but doesn't quite leave the same impression as the main "Dancing with Your Shadow" melody, which is introduced in the score during "Nurse's Office," and pops up again in "Family Time," "Goodbye Dad," "Pier," "Dad Packing," "Airport Kiss," "Rainbow on the Wall," and concludes in "Supermarket Love." Yet as beautiful as the melody is, it almost begins to overstay its welcome, since it is so often played with minimal variation in structure or tempo. The score's highlights are a ravishing piano fantasia that is introduced in "The Pirate" and returns in "Sherwood Forest," representing Po's inner life, breaking away from the score's otherwise staid manner into something soaring. But the very best moment on the whole album comes thanks to Bauer. "Through the Door" combines Bauer's electronics and Bacharach's piano in a truly gorgeous way. It almost makes you wish the entire score had this kind of haunting emotional personality. While the melodies are pleasing to the ear, there's just not enough variation in them to create a satisfying whole. It almost reminded me of Clint Eastwood's Grace is Gone, which featured a similarly strong melody that was played over and over again with little to no change whatsoever. Po ends with a piano solo version of "Dancing with Your Shadow," which is the best performance of the tune on the album, almost taking on the air of romantic jazz (John Williams' Sabrina springs to mind), even throwing in some strings for added personality. It's enough to make you wish the theme had been treated with such lush beauty the whole time. It's a pleasant listen, one that is easy to recommend based on its laid-back atmosphere, but one can't help but feel that it never quite reaches the heights it could have with a more varied arrangement. Now available via digital download from Varese Sarabande.